This report was commissioned by HEFCE to address one of the recommendations in ‘Review of Philanthropy in UK Higher Education: 2012 status report and challenges for the next decade’ (the Pearce report), specifically the future development and training needs of the higher education philanthropy workforce. 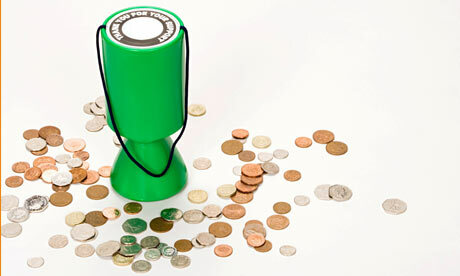 The 2012 report showed that investment in fundraising brings results whatever the size or type of university or college. If the success described in that report was to continue, it would be necessary to have a strong and growing group of educational fundraisers who are skilled in leading development teams and working with academics and institutional leaders. This new review on the philanthropy workforce indicates the pool of professional fundraisers working in UK higher education is too small if the ambitious targets for the next decade are to be met. In order to attract more people to become and remain educational fundraisers, there needs to be an attractive career structure and a shared understanding of the skills and knowledge-base required to be effective at different stages of that career. This issue has guided this report: what should a career path in educational fundraising look like and how can we retain the best people? The evidence in this review of the fundraising workforce is intended to address those questions. The arguments in favour of developing a long term view which will provide the staffing required are undeniable but nevertheless it will be challenging to deliver. Internship schemes (notably the HEFCE-supported CASE graduate traineeships) are working well as entry points and could be extended to a wider range of institutions. Top student callers, who learn their craft on university “phonathons”, are an excellent source of fundraising talent, as are others who carry out student work in development offices. The numbers involved in the CASE graduate traineeship scheme remain small though and there is also a role for the Ambitious Futures programme, the wider graduate training scheme for higher education in the UK, for contributing to the development of this future pipeline of fundraising staff. This entry was posted in Admin, Alumni, Education, Fundraising, HE, Management, University and tagged Alumni, CASE, fundraising, graduate trainee, HE, HEFCE, universities by Paul. Bookmark the permalink.